I know what you're thinking, it can't be true. All-natural heat protection? As in like, no silicones and other funny business? Nicole Metcalf, owner of Organic Heat Pro reached out to me because she wanted me to try her spray. She promised that it provided heat protection, super shine, and was completely natural. She told me it passed all rounds of testing with flying colors. But did it really work? I took it to task on my flat-ironed natural hair that I got done at the Lawrence Ray Concepts Salon. Affordability: At $25 for 8oz, it is on the pricier side of natural hair care, but in my eyes well worth it. When used properly, a little bit goes a long way. Besides, you get what you pay for -- right? I'd never pay $25 for a silicone serum, because cones are cheap. But an all natural, oil-based spray? Very much worth it. Key Ingredients: exotic fruit oils, pure alkaline water, rosemary oil. To be upfront and honest with you all, they were not able to reveal their full ingredient list to me. Normally, I'd be concerned, but as a blogger on the business end of things, I've come to understand that without the proper legal protection around product formulations, companies leave themselves vulnerable to other brands looking to prey on their ideas and profit. I'd definitely say keep your eyes peeled in the near future for full ingredient disclosure. Product Claim/Description: After years of research on exotic fruit oils, we found the right formula to protect your hair from everyday stress. Organic Heat Pro is all natural and provides unparalleled heat protection for all types of hair. Umm....do you see my hair?! As far as the ingredients are concerned, I did have some initial reservations. However, Nicole Metcalf (the owner) assured me that the product is all-natural and full of good for your hair fruit oils. The star of the show is rosemary oil, which provides follicle stimulation, and strengthens the roots of the hair, which promotes growth. The spray is water-based, which I actually like. One of my biggest problems when I wear my hair straight is that I am unable to maintain internal hydration, because typically, water + straight hair = reversion. But the Organic Heat Pro blend, when used properly, does not cause reversion or poofiness in the slightest. 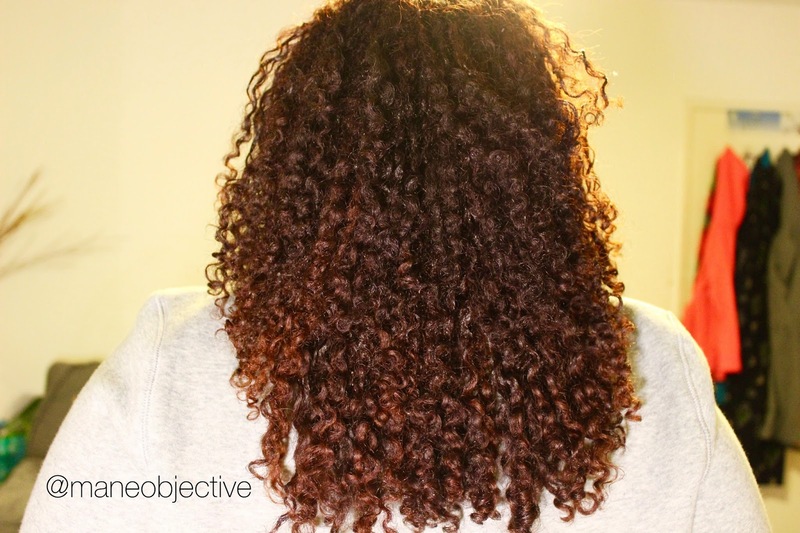 The oil blend in the heat protectant is lightweight, provides super shine, and does not weigh the hair down. It definitely smells like rosemary, but the fragrance doesn't linger for long. The spray itself is milky white-ish, but does not build up or flake in the hair whatsoever. What I like most about the Organic Heat Pro spray is how SHINY my hair is, while still being lightweight and movable. My hair does not feel greasy or oily AT ALL! I'm totally impresed, because this spray is as powerful as some high powered silicone serum -- but it's all natural and totally right up your alley if you're looking to go cone-free even in straightening. While I don't have all the science together of why the spray provides heat protection without silicones, I do know that it works. In the video below, I make 2 and 3 passes over sections trying to curl them (again because I don't know what I'm doing), and I experienced absolutely no heat damage or loss of my curl pattern whatsoever. I'm sold on Organic Heat Pro! Drawbacks: I'm an ingredient junkie, so I really want to know whats in the product. Argan? Pracaxi? Moringa? I'll be keeping up with Organic Heat Pro for sure, because I gotta know! Bonuses: Another thing I really like about the spray is that it''s not just limited to use on straight hair. I use it to seal in moisture for wash and go's add shine to my natural curls. I sprayed it on my scalp to moisturize and stimulate growth there, too. It's also perfect if you frequently do blowouts, Curlformers, flexi rods, perm rods, roller sets, or any other stretched style that requires direct or indirect heat. Best Practices: Do not overuse. One or two sprays per medium/large sized section is plenty. Because it is water-based, if you're looking to maintain a straight style, don't spray close to your hair -- hold it a few inches from the section and allow the spray to gently fall over the length of your hair (as opposed to saturating one spot). This helps minimize/prevent reversion. 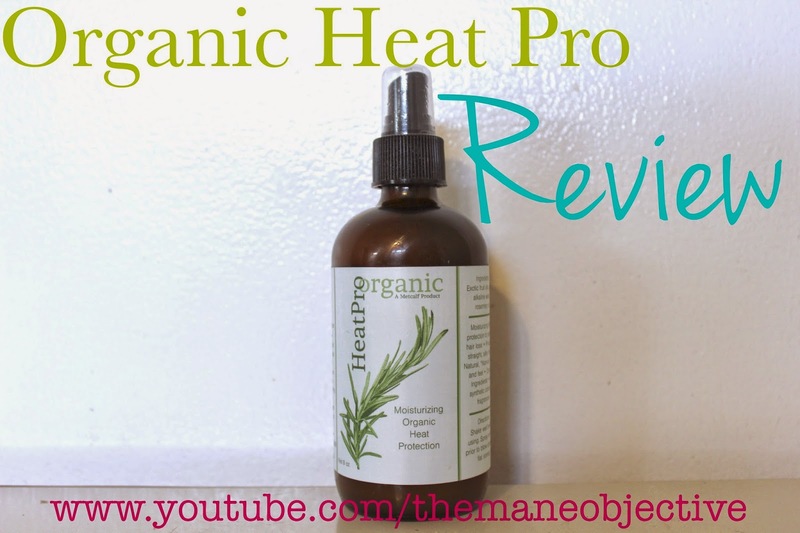 Will you be trying Organic Heat Pro Heat Protection Spray?